"Elqui Valley is known for least amount of precipitation in the world (actually it is #2 behind Antarctica). It borders the Atacama Desert, the best place in the world for stargazing because there is so little water vapor in the atmosphere. Elqui has a long history because it was the southern border of the Inca Empire. There are still thousands of signs of that civilization, including the irrigation channels network. The Olivier family started Viña Mayu in 2005 as an independent family winery. The Olivier family first brought fine winemaking to the Elqui Valley with Viña Falernia in 1998. They honor the place and its history with the name of the winery - "Mayu" is the Incan word for the Milky Way's river of stars. 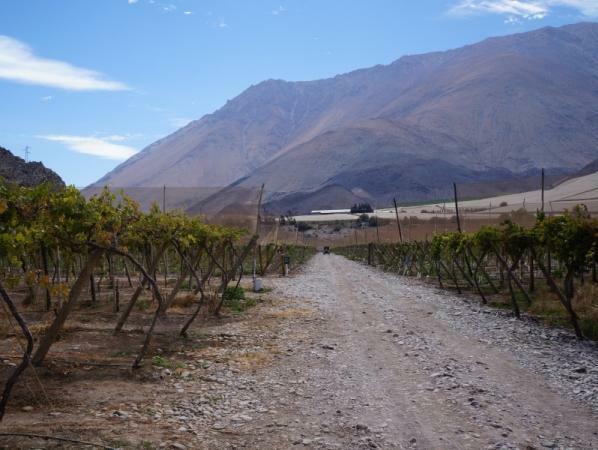 The driving force for starting a winery in Elqui was a passion for the challenge of transforming a tract of desert with enormous potential into a vineyard producing premium wines. Mauro Olivier Alcayaga was the pioneer of planting fine wine grapes in the Elqui Valley in 2000 with his first Carmenere and Syrah plantings. Finally in 2005, he set up his own wine business. Giorgio Flessati was born in Trento where he comes from a long line of viticulturists and chose to continue the family tradition, graduating in oenology at San Michele all'Adige, the celebrated wine academy near Trento. He is also the General Manager and Chief Winemaker for Lagaria in Italy (with projects in Trentino and Sicilia)."